The applicant for the Crescent Parke development has requested more time to address concerns and changes requested by the Planning Commission. According to Susan Berry-Hill, the town’s director of planning and development, the application has been pushed to the commission’s April 7 meeting. When the applicant for the project was last before the commission in February, a request was made to allow for more time to address outstanding concerns related to the application before returning to the commission in April for a potential vote and recommendation to the Town Council. 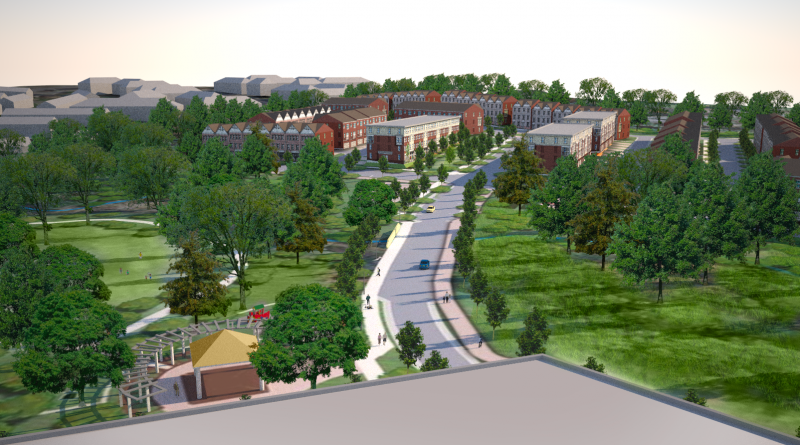 The 53-acre Crescent Parke application seeks approval for 198 townhouses, 96 stacked townhouses and 96 multifamily dwelling units. Nonresidential uses would include a maximum of 110,550 square feet of office space, 137,175 square feet of retail, an area for a future hotel, and a 2,000-square-foot community room. The land stretches from the terminus of Gateway Drive to Davis Drive along the edge of the Leesburg Bypass. The land assemblage also includes the Olde Izaak Walton Park, land currently leased by the town but which the developers would donate to the town.